Well, the first mow of the season is complete. 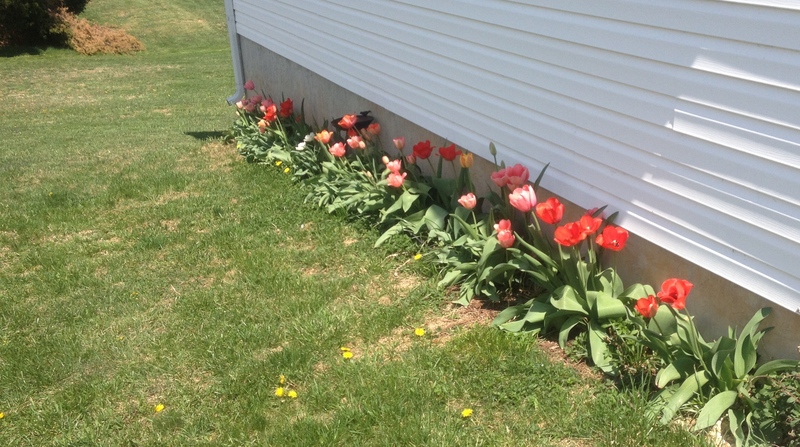 Which basically means I pushed over the yard full of, primarily, onions and dandelions. Nikki Davison Renfroe you WOULD NOT enjoy mowing my lawn. My poor neighbors trying to grow grass must really curse our sad, pathetic excuse of a yard. Oh well, there isn’t much I can do about it right now. I will also say I had a weird sort of melancholy (?) while riding the mower in circles, singing my heart out to the tunes in my earphones and waving to my neighbor as we dance the dance of domesticity. I imagined adulthood much differently than this. Where’s that husband when you need him? Oh, that’s right, bringing home the bacon 700 miles away. I miss you D, come home to me. Also, I thought I had a dead bird in our gutter on the front of the house. So, in the absence of hubby dear, I bravely got a rake out to try and scoop the poor creature away. Needless to say my heart nearly jumped out of my chest (and I’m sure hers) when, as I brushed the rake against her tail feathers, a dove burst out of the gutter onto the roof of the house! She turned to look at me as if WTH? Why did you do that? Those crazy doves are back and they have children on the way. I obviously, can’t move them now. Hope the rain doesn’t wash their eggs away. 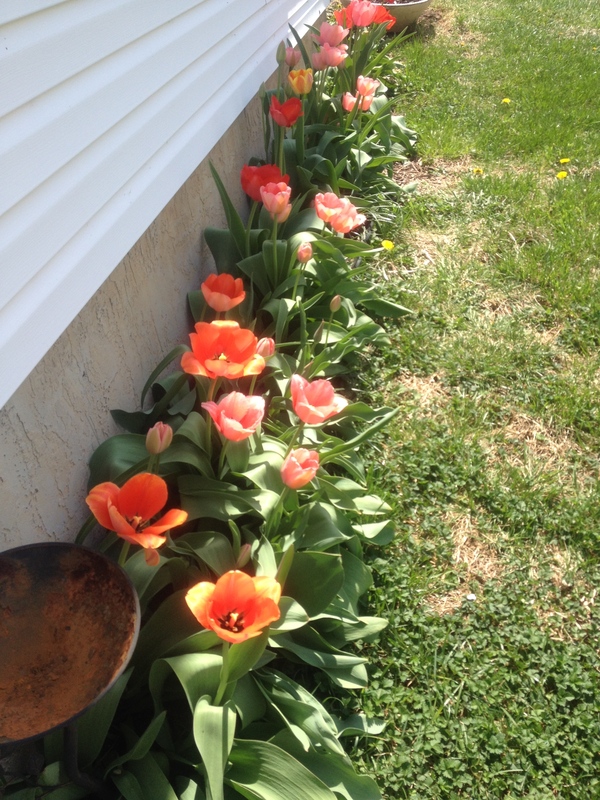 Oh, and my tulips are blooming, praise the sweet Lord above! 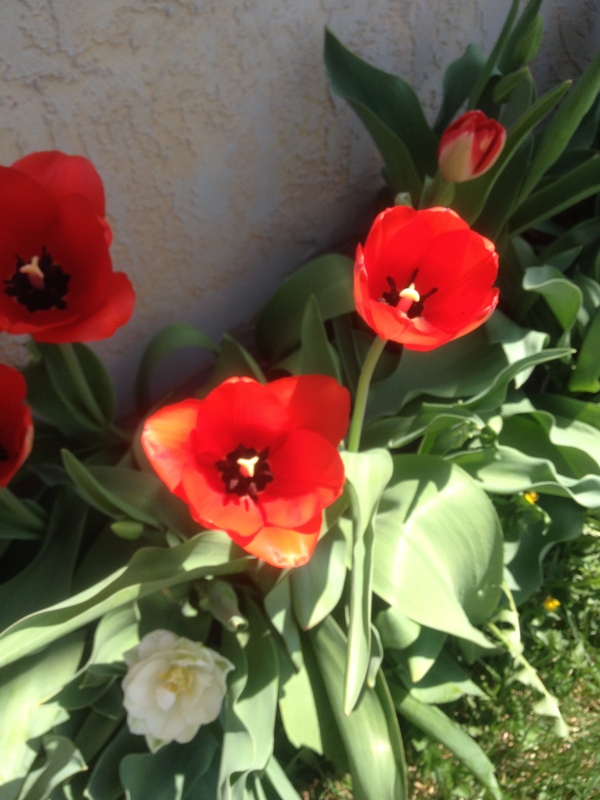 So, I’ve been absent a while I know … spring always inspires me. Plus, spending too much time alone brings the need to get things out my my head.